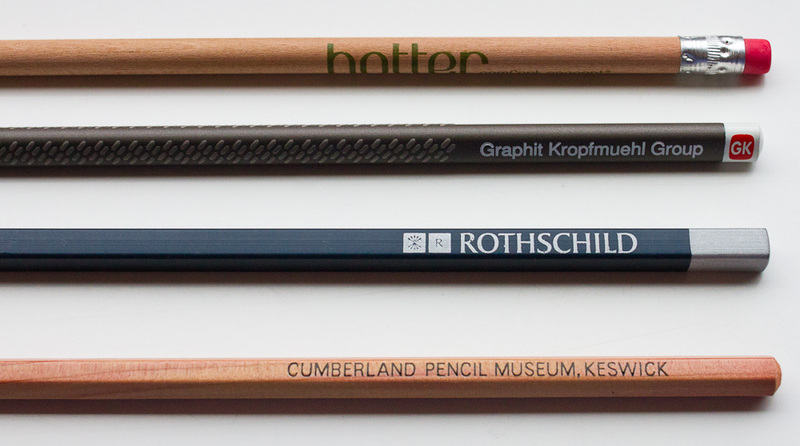 I’d like to thank Lexikaliker for the Graphit Kropfmuehl Group pencil and my colleague Dr. Mitch Larsson for the Rothschild pencil. Thanks. The squary pencil is actually more comfortable than expected. I actually think you might have send me a mark sheet pencil, but I don’t remember it being pentagonal… I should check. Thank you for reminding me of the pentagonal and the dodecagonal (had to look that up ;^) ) one. Matthias, that first photo could be a nice framed print for hanging over one’s desk for inspiration. Ausgezeichnet!